An animator is an artist who creates multiple images called frames and key frames that form an illusion of movement called animation when rapidly displayed. Animators can work in a variety of fields including film, television, video games, and the internet. Although formal training, such as a Bachelor's or Master's degree in Fine Arts isn't always required, it can help one who wants to work as an animator develop sought after skills. These programs often include course work in mathematics, art history, studio art, and computer techniques. Degrees in animation usually require classes in drawing, animation, and film. An animator has to have knowledge of many applied math subjects. It allows the animator to find unknowns from a simple set of equations and to work out aspects of geometric figures when you are dealing with objects that move and change. An animator uses linear algebra to show the way that an object is rotated and shifted and made larger and smaller—all major actions in animation. 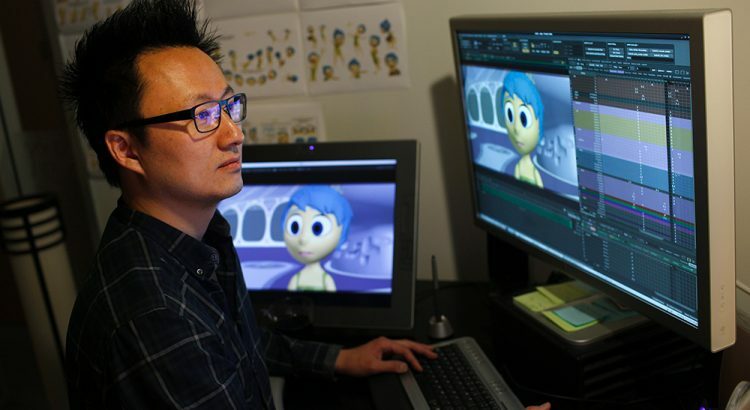 There are only so many jobs at Disney and Pixar, and not every 3D animator wants to work on motion picture cartoons. Animators also find success in computer and console game development, television programming, broadband internet animation, broadcast and web advertising, education, research, and military and corporate training. Generally, an animator will average about a hundred frames a week (that's 4 seconds of actual screen time). Animators must be able to do many things other than just the computer-based animation. Other tasks include developing storyboards, working with designers or directors, and meeting with clients to fully understand the desired outcomes of a project.